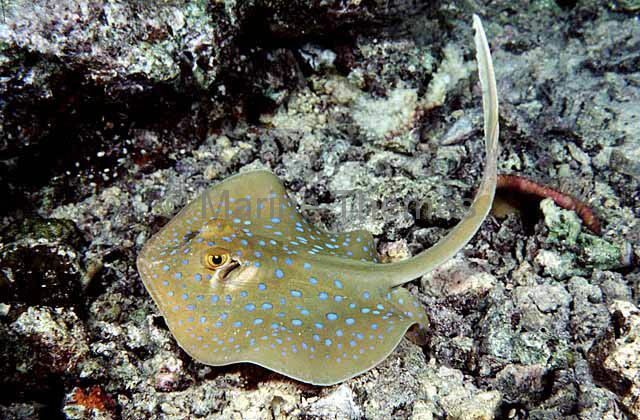 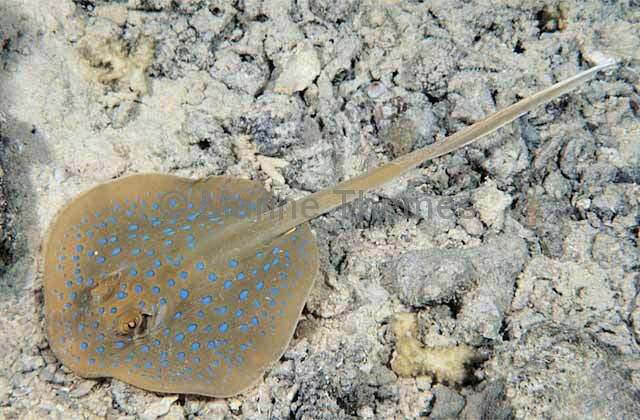 Blue-spotted Fantail Ray (Taeniura Lymma) Juvenile feeding at night. 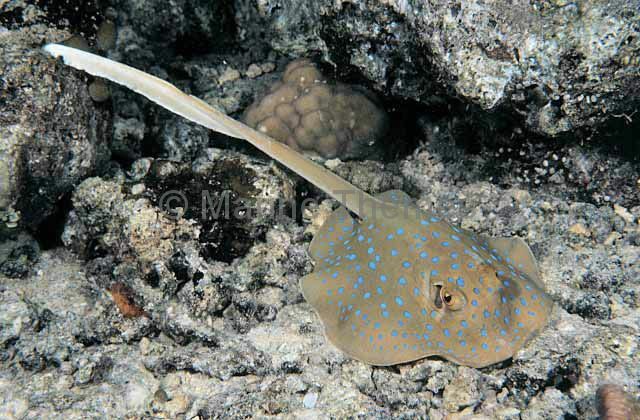 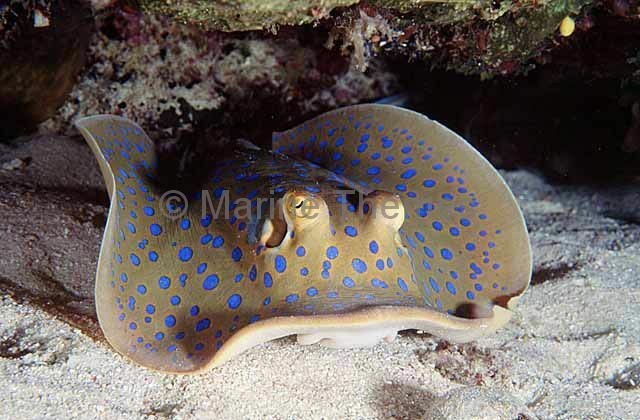 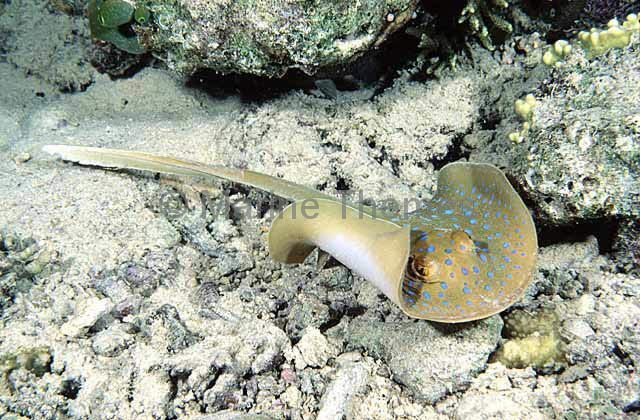 Blue-spotted Fantail Stingray (Taeniura lymma) Juvenile feeding at night. 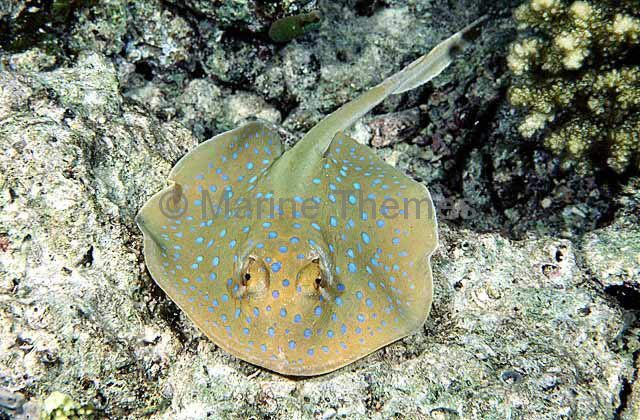 Blue Spotted Fantail Ray (Taeniura lymma) resing in reef ledge. 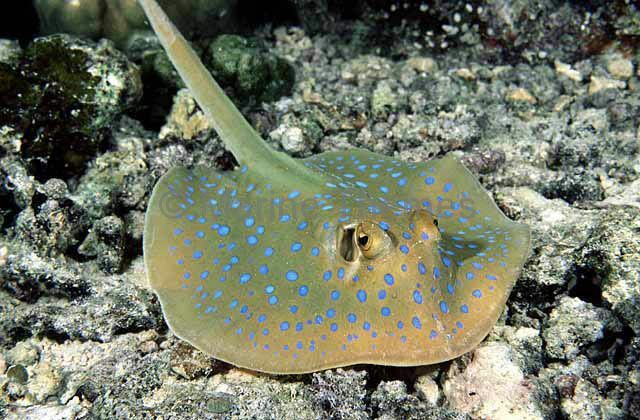 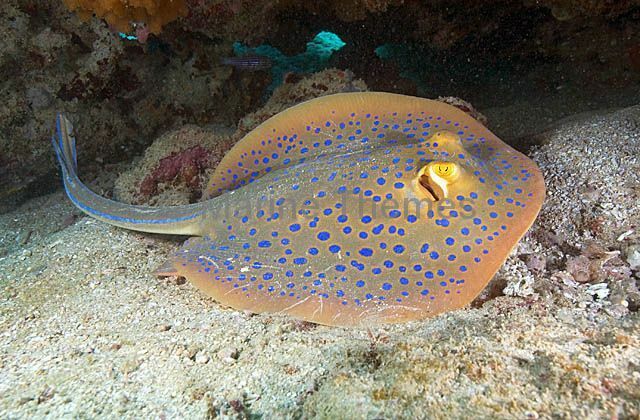 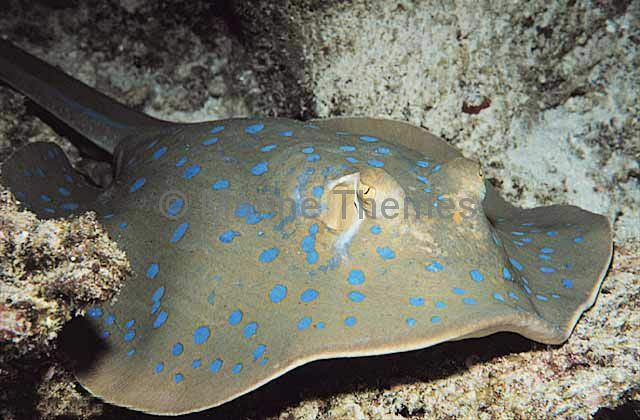 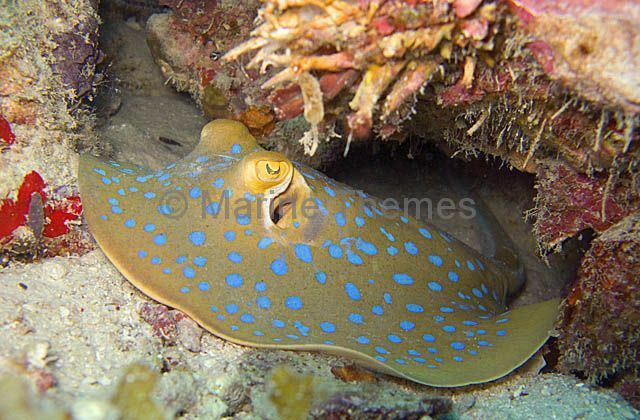 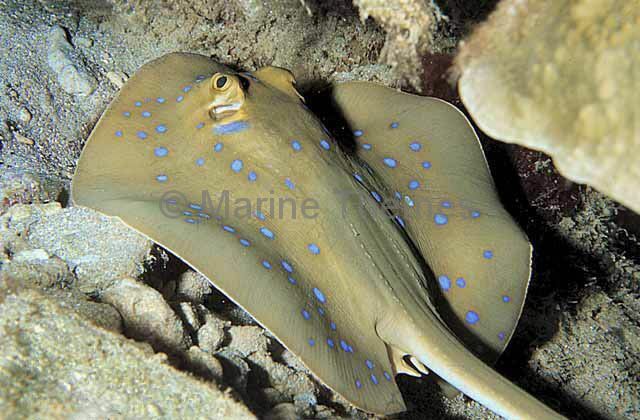 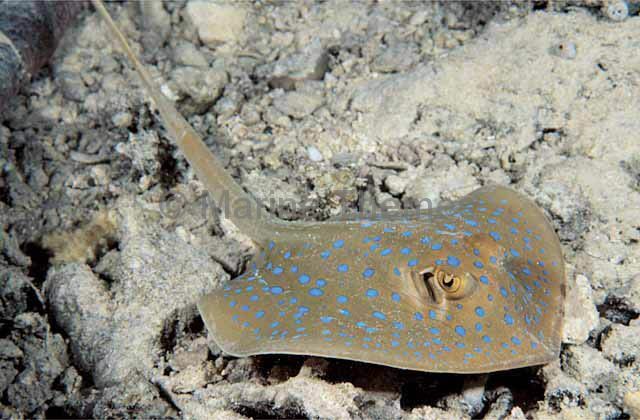 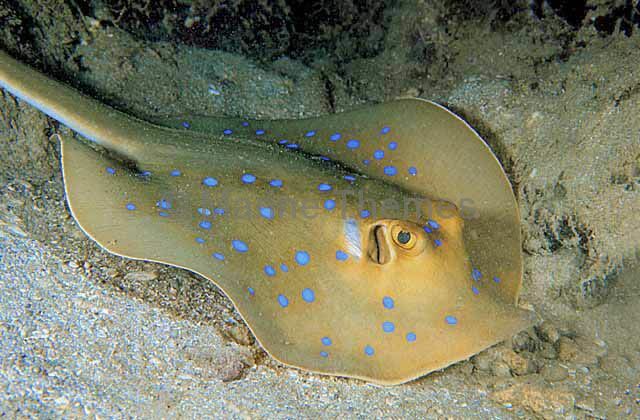 Blue Spotted Fantail Ray (Taeniura lymma) resting in reef crevice. 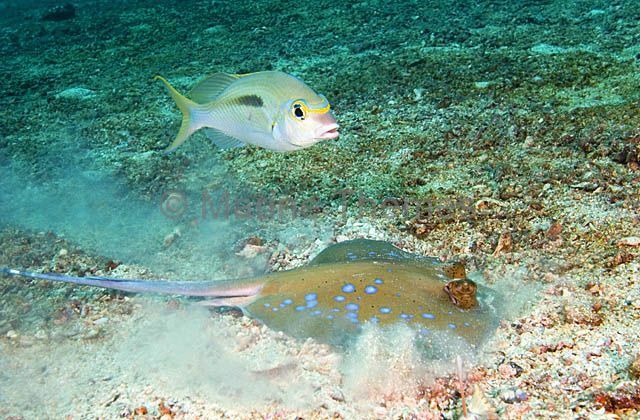 Blue Spotted Fantail Ray (Taeniura lymma) foraging over sandy sea bed, followed by Pearly Monocle Bream (Scolopsis monogramma) who is scavenging off the disturbed sand cloud. 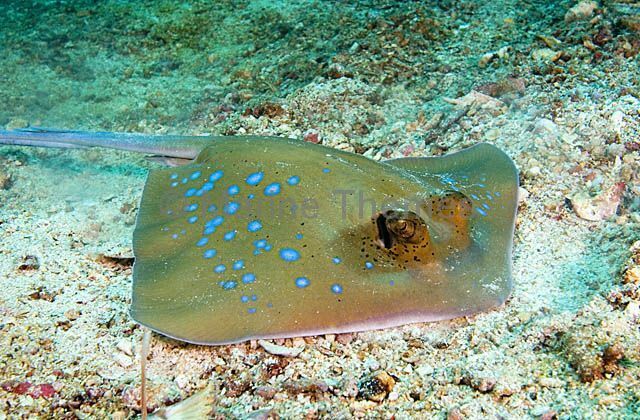 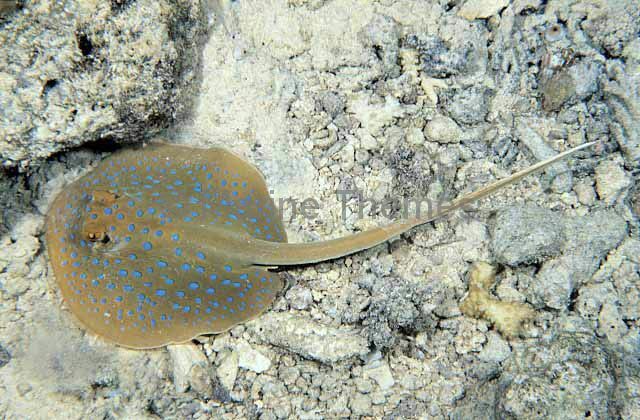 Blue Spotted Fantail Ray (Taeniura lymma) foraging over sandy sea bed for small worms and crustaceans. 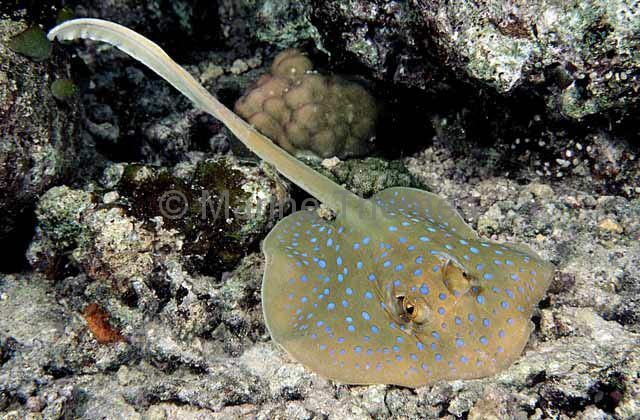 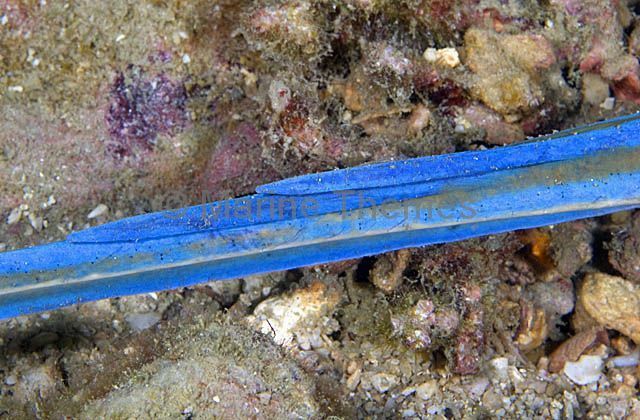 Blue Spotted Fantail Ray (Taeniura lymma) Detail of barbed spines on tail. 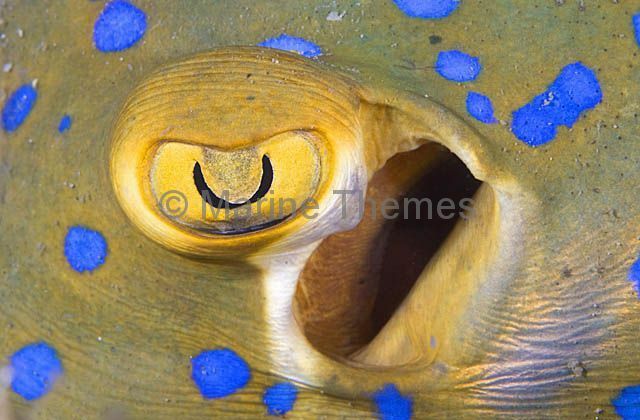 Blue Spotted Fantail Ray (Taeniura lymma) Detail of eye and spiracle.